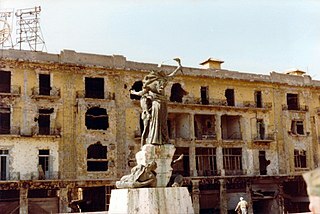 Black September (Arabic : أيلول الأسود‎; Aylūl Al-Aswad ) was a conflict fought in Jordan between the Jordanian Armed Forces (JAF), under the leadership of King Hussein, and the Palestine Liberation Organisation (PLO), under the leadership of Yasser Arafat, primarily between 16 and 27 September 1970, with certain actions continuing until 17 July 1971. Aswad is a male Arabic given name that means "black", "Black African". 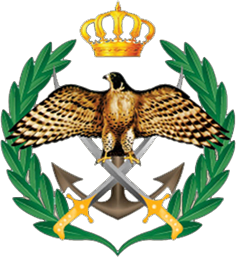 The Jordan Armed Forces, also referred to as the Arab Army, are the military forces of the Hashemite Kingdom of Jordan. They consist of the ground forces, air force, and navy and is under the direct control of the King of Jordan who is the ٍSupreme Commander of the Jordan Armed Forces. The current Chairman of the Joint Chiefs of Staff is Lieutenant General Mahmoud Freihat, who is also the King's military adviser. In September 1970, members of the Popular Front for the Liberation of Palestine (PFLP) hijacked four airliners bound for New York City and one for London. 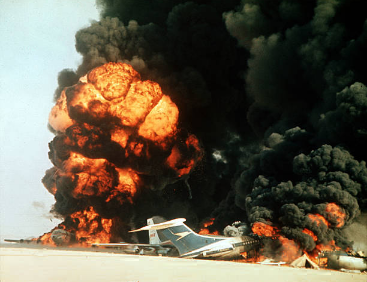 Three aircraft were forced to land at Dawson's Field, a remote desert airstrip near Zarqa, Jordan, formerly Royal Air Force Station Zerqa, which then became PFLP's 'Revolutionary Airport'. By the end of the incident, one hijacker had been killed and one injury reported. This was the second instance of mass aircraft hijacking, after an escape from communist Czechoslovakia in 1950. The Popular Front for the Liberation of Palestine (PFLP) is a secular Palestinian Marxist–Leninist and revolutionary socialist organization founded in 1967 by George Habash. It has consistently been the second-largest of the groups forming the Palestine Liberation Organization, the largest being Fatah. As of 2015 the PFLP boycotts participation in the PLO Executive Committee and the Palestinian National Council. 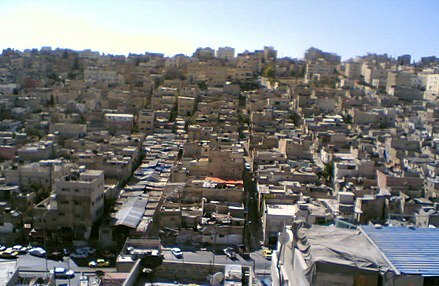 Az-Zarqā is the capital of Zarqa Governorate in Jordan. Its name means "the blue (city)". It had a population of 635,160 inhabitants in 2015. Irbid, known in ancient times as Arabella or Arbela, is the capital and largest city of the Irbid Governorate. It also has the second largest metropolitan population in Jordan after Amman, with a population of around 1,770,158. Irbid is located about 70 kilometres (43 mi) north of Amman on the northern ridge of the Gilead, equidistant from Pella, Beit Ras (Capitolias), and Um Qais, and approximately 20 kilometres (12 mi) south of the Syrian border. The Palestine Liberation Army was ostensibly set up as the military wing of the Palestine Liberation Organization (PLO) at the 1964 Arab League summit held in Alexandria, Egypt, with the mission of fighting Israel. However, it has never been under effective PLO control, but rather it has been controlled by its various host governments, usually Syria. Wasfi Tal was a Jordanian politician, statesman and general. 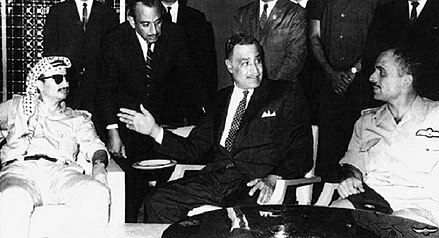 He served as Prime Minister of Jordan for three separate terms, 1962–63, 1965–67 and 1970 until his assassination in 1971. We had thousands of incidents of breaking the law, of attacking people. It was a very unruly state of affairs in the country and I continued to try. I went to Egypt, I called in the Arabs to help in any way they could – particularly as some of them were sponsoring some of these movements in one form or another – but without much success, and towards the end I felt I was losing control. In the last six months leading up to the crisis the army began to rebel. 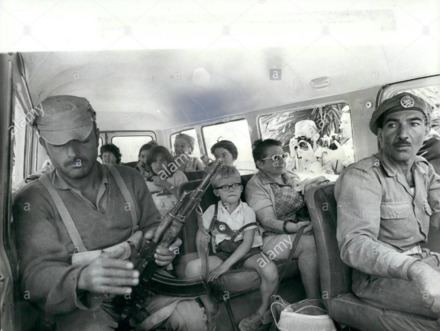 I had to spend most of my time running to those units that had left their positions and were going to the capital, or to some other part of Jordan, to sort out people who were attacking their families or attacking their soldiers on leave. I think that the gamble was probably the army would fracture along Palestinian-Jordanian lines. That never happened, thank God. George Habash, also known by his laqab "al-Hakim" was a Palestinian Christian politician who founded the left-wing secular nationalist Popular Front for the Liberation of Palestine (PFLP). 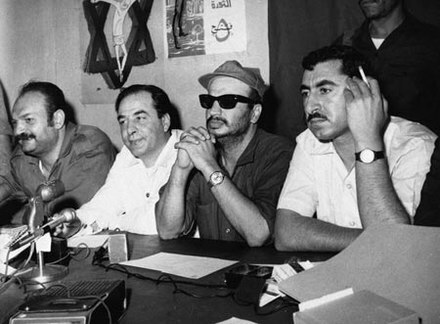 Habash served as Secretary-General of the PFLP until 2000, when ill health forced him to resign. 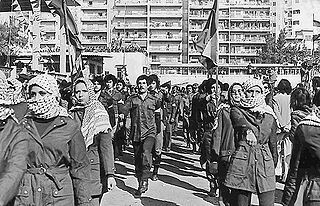 The Rejectionist Front or Front of the Palestinian Forces Rejecting Solutions of Surrender was a political coalition formed in 1974 by radical Palestinian factions who rejected the Ten Point Program adopted by the Palestine Liberation Organization (PLO) in its 12th Palestinian National Congress (PNC) session. 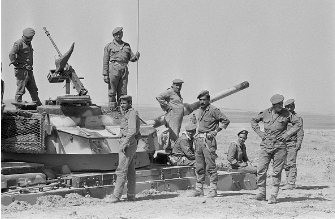 The Battle of Karameh was a 15-hour military engagement between the Israel Defense Forces (IDF) and combined forces of the Palestine Liberation Organization (PLO) and the Jordanian Armed Forces (JAF) in the Jordanian town of Karameh on 21 March 1968, during the War of Attrition. It was planned by Israel as one of two concurrent raids on PLO camps, one in Karameh and one in the distant village of Safi—codenamed Operation Inferno and Operation Asuta, respectively—but the former turned into a full-scale battle. Khaled Yashruti was a Palestinian political activist and a leading member of the PLO. 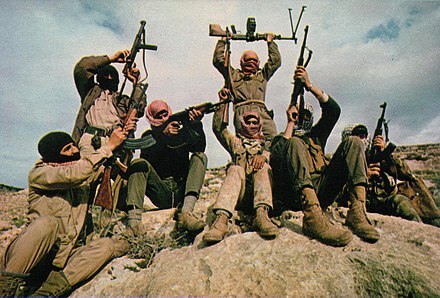 Palestinian fedayeen are militants or guerrillas of a nationalist orientation from among the Palestinian people. Most Palestinians consider the fedayeen to be "freedom fighters", while most Israelis consider them to be terrorists. Walid Ahmad Nimer al-Naser, better known by his nom de guerreAbu Ali Iyad, was a senior Palestinian field commander based in Syria and Jordan during the 1960s and early 1970s. The Palestinian National Salvation Front was a coalition of Palestinian factions. 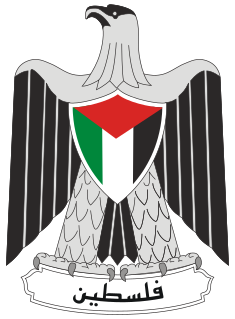 The creation of the Palestinian National Salvation Front was announced on March 25, 1985 by Khalid al-Fahum. The front consisted of the PFLP, PFLP-GC, as-Sa'iqa, the Palestinian Popular Struggle Front, the Palestinian Liberation Front and Fatah al-Intifada. 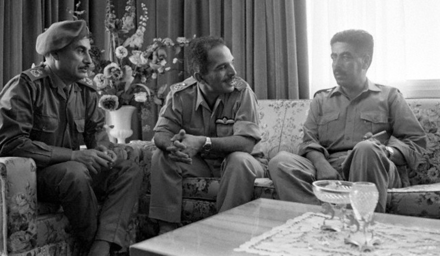 The Front was founded in reaction to the Amman Accord between Yasser Arafat and King Hussein of Jordan. The Democratic Front for the Liberation of Palestine (DFLP) is a Palestinian Marxist–Leninist–Maoist, secular political and militant organization. It is also frequently referred to as the Democratic Front, or al-Jabha al-Dimuqratiyah. It is a member organization of the Palestine Liberation Organization. 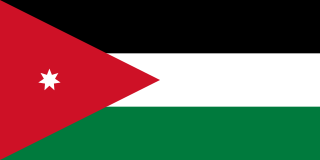 The Seven-point agreement was a pact between the Hashemite Kingdom of Jordan and the Palestine Liberation Organization, signed in November 1968, in order to legalize presence of PLO militias in the country. The PLO did not live up to the agreement, and instead came to be seen more and more as a state within a state in Jordan. Discipline in the Palestinian militias was often poor, and there was no central power to control the different groups. 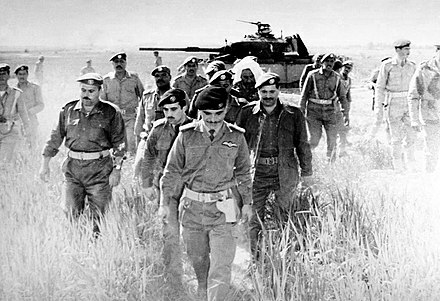 The agreement nominally held ground until 1970, when a civil war broke out in Jordan between Hashemite royal troops and PLO insurgents. 1 2 Katz, Samuel M. (1995). Arab Armies of the Middle East Wars 2. New York: Osprey Publishing. p. 10. ISBN 0-85045-800-5. ↑ Dunstan, Simon (2003). The Yom Kippur War 1973: Golan Heights Pt. 1. Elsm Court, Chapel Way, Botley, Oxford OX2 9LP, United Kingdom: Osprey Publishing Ltd. ISBN 1 84176 220 2. 1 2 3 4 5 6 7 8 9 10 Shlaim 2008, p. 326. 1 2 3 4 Shlaim 2008, p. 321. ↑ Massad, Joseph Andoni (2001). Colonial Effects: The Making of National Identity in Jordan. New York: Columbia University Press. p. 342. ISBN 0-231-12323-X. 1 2 3 4 5 6 7 Shlaim 2008, p. 334. 1 2 "Duty Martyrs". JAF. Retrieved 31 August 2017. ↑ Shlaim 2008, p. 311–340. ↑ Shlaim 2008, p. 311-340. 1 2 "King Hussein of Jordan". The Telegraph. The Telegraph. 8 February 1999. Retrieved 1 July 2017. 1 2 3 Nils August Butenschon; Uri Davis; Manuel Sarkis Hassassian (2000). Citizenship and the State in the Middle East: Approaches and Applications. Syracuse University Press. Retrieved 18 October 2015. 1 2 "The IDF raid on Samu': the turning-point in Jordan's relations with Israel and the West Bank Palestinians". Moshe Shemesh. Israel Studies. 22 March 2002. Retrieved 9 August 2017. 1 2 Henry Kissiner (1999). Years of Renewal. Phoenix press. p. 1028. ISBN 978-1-84212-042-2. 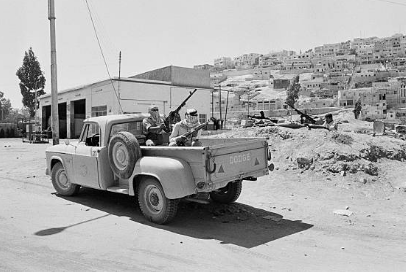 ↑ "1970: Civil war breaks out in Jordan". BBC Online . 1 January 2010. Retrieved 9 August 2017. 1 2 3 Shlaim 2008, p. 223. ↑ Shlaim 2008, p. 224. ↑ Shlaim 2008, p. 252. 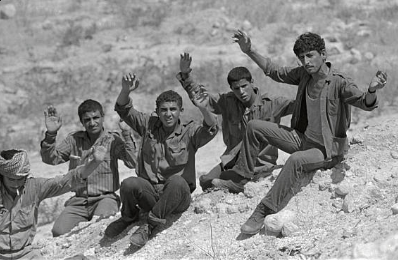 ↑ "1968: Karameh and the Palestinian revolt". Telegraph. 16 May 2002. Retrieved 3 September 2008. ↑ "Debacle in the desert". Haaretz. 29 March 1968. Retrieved 13 May 2011. ↑ Chaim Hertsog; Shlomo Gazit (2005). The Arab–Israeli Wars. p. 205. Retrieved 10 August 2017. 1 2 Neff. "Battle of Karameh Establishes Claim of Palestinian Statehood". Washington Report on Middle East Affairs (March 1998). pp. 87–88. Archived from the original on 19 July 2008. Retrieved 3 September 2008. ↑ Kurz, Anat (2005). Fatah and the Politics of Violence: The Institutionalization of a Popular Struggle. Brighton, U.K.: Sussex Academic Press. p. 56. ISBN 978-1-84519-032-3. 1 2 John A. Shoup (2007). Culture and Customs of Jordan. Greenwood Publishing Group. p. 24. Retrieved 11 August 2017. 1 2 3 4 5 6 Salibi 1998, p. 230. ↑ Shlaim 2008, p. 311. ↑ Boaz Vanetik; Zaki Shalom (1 May 2015). Nixon Administration and the Middle East Peace Process, 1969–1973: From the Rogers Plan to the Outbreak of the Yom Kippur War. Sussex Academic Press. Retrieved 1 January 2016. ↑ Salibi 1998, p. 231. 1 2 Salibi 1998, p. 232. 1 2 3 4 5 6 7 Shlaim 2008, p. 312. 1 2 3 4 5 6 7 8 9 10 Shlaim 2008, p. 313. ↑ Salibi 1998, p. 233. 1 2 3 4 5 Shlaim 2008, p. 314. 1 2 3 4 Shlaim 2008, p. 315. 1 2 3 4 5 6 Shlaim 2008, p. 316. 1 2 3 4 5 6 7 Shlaim 2008, p. 317. 1 2 Shlaim 2008, p. 318. 1 2 Shlaim 2008, p. 319. 1 2 3 4 5 Shlaim 2008, p. 320. ↑ Salibi 2008, p. 235. ↑ Salibi 1998, p. 235. ↑ Shlaim 2008, p. 322. 1 2 3 4 5 6 7 8 Salibi 1998, p. 236. 1 2 3 4 Shlaim 2008, p. 324. 1 2 3 4 5 6 7 8 Shlaim 2008, p. 325. 1 2 3 4 Mobley, Richard (2009). 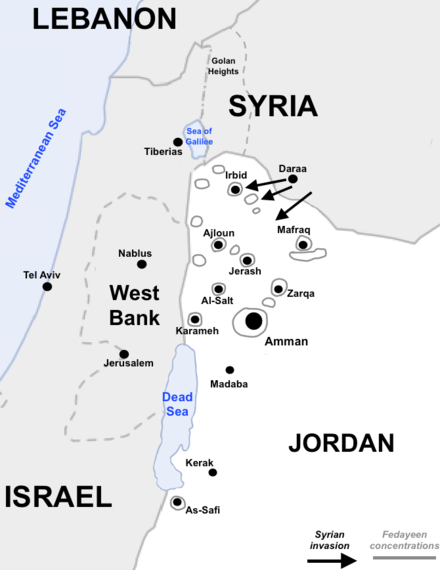 Syria's 1970 Invasion of Jordan (PDF). Archived from the original (PDF) on 17 October 2012. ↑ Raab 2008, p. 200. 1 2 3 Shlaim 2008, p. 328. 1 2 Shlaim 2008, p. 329. 1 2 3 Shlaim 2008, p. 330. 1 2 3 "Jordan asked Nixon to attack Syria, declassified papers show". CNN. 28 November 2007. Retrieved 26 August 2017. 1 2 Shlaim 2008, p. 333. 1 2 3 Migdal, Joel (2014). "4. Finding a Place in the Middle East: A New Partnership Develops out of Black September". Shifting Sands: The United States in the Middle East. Columbia University Press (published February 2014). ISBN 9780231166720. Archived from the original on 9 December 2014. Retrieved 20 December 2014. 1 2 3 4 5 6 Shlaim 2008, p. 335. ↑ "Armed Conflict Year Index". onwar.com. ↑ Shlaim 2008, p. 336. ↑ "Islam and imperialism". socialistreviewindex.org.uk. 1 2 Kiessling, Hein (2016). Faith, Unity, Discipline: The Inter-Service-Intelligence (ISI) of Pakistan. Oxford University Press. p. 35. ISBN 9781849045179. 1 2 Riedel, Bruce (2014). What We Won: America's Secret War in Afghanistan, 1979 89. Brookings Institution Press. pp. 56–57. ISBN 9780815725855. ↑ Miller, Judith (12 November 2004). "Yasir Arafat, Palestinian Leader and Mideast Provocateur, Is Dead at 75". The New York Times. Retrieved 26 April 2010. ↑ Shlaim 2008, p. 337. 1 2 3 4 5 6 7 8 9 Shlaim 2008, p. 338. 1 2 3 Pollack, Kenneth (2002). Arabs at War: Military Effectiveness 1948–1991. Lincoln: University of Nebraska Press. p. 343. ISBN 0-8032-3733-2. 1 2 3 4 Shlaim 2008, p. 339. 1 2 Shlaim 2008, p. 340. 1 2 3 4 5 6 7 8 9 Becker, Jillian (1984). The PLO: The Rise and Fall of the Palestine Liberation Organization. London: Weidenfeld and Nicolson. ISBN 0-297-78299-1. Shlaim, Avi (2008). Lion of Jordan: The Life of King Hussein in War and Peace. Vintage Books. 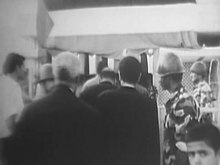 Wikimedia Commons has media related to Black September in Jordan .